What are the key elements of a good travel retail exclusive? We asked a range of retailers and brands to provide an example of how a travel retail exclusive product has been effective. In an increasingly competitive retail environment, with consumers far more price-aware and high street/online discounting rife, travel retail exclusives are critical to the continued growth of our business. They offer the travelling consumer something different and unique. Knowledge of their existence can create the necessary incentive to actually explore and shop within the airport environment (or inflight, on cruise ships/ferries etc.). Beyond the price-discount expectations that travellers will have on standard priced brands, increasingly consumers are using the shopping experience to find brands that offer the chance to experiment, are collectible or are just simply different. Who wants what anyone else can have? At William Grant & Sons we’re very proud of our work in this arena and have an excellent record of success with travel retail exclusives for brands such as The Balvenie, Glenfiddich and Grant’s. We’ve also used travel retail to introduce exclusive brands such as Hazelwood (18, 21 and 25yo). We find that exclusives work particularly well within the aged, premium sector of the whisky sector and have enjoyed great success with lines such as The Balvenie Triple Cask (12, 16, 25, Peated 14 and Madeira 21), Glenfiddich Distillery Edition 15 and Glenfiddich Cask Collection (Select/Reserve/Vintage/Decanter), which appeal to consumers who know their whiskies and are always looking for new expressions to explore and enjoy. It’s important to say that for William Grant & Sons it’s vital that our travel retail exclusives have their own story, meaning and relevance to our target audience. Exclusives will always reflect our heritage and craftsmanship, providing real authenticity and unique character. Exploration and enjoyment: If marketed properly, travel retail exclusives drive store penetration and sales conversion, says Ed Cottrell. 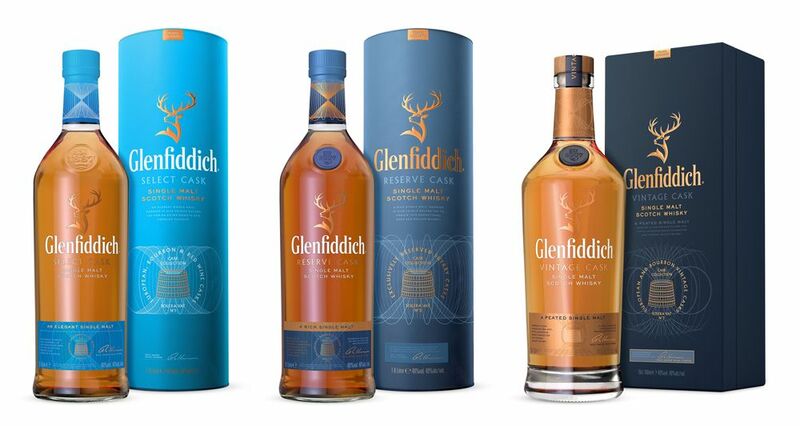 Glenfiddich expressions have a popular appeal. In our fashion category, we focus on promoting specific capsules, backed by renowned influencers who resonate strongly with our loyal clients and who act as major traffic drivers to the stores. In our food category, we present a tailor-made offer for each of our locations under our ‘From (DFS) with Love’ theme that has been met with acclaim by both customers and the trade. Whenever we are able to create a Sense of Place in terms of environment, customers show genuine appreciation, and our sales reflect that. In beauty, events are key and we take a bespoke approach to find the right campaign themes for our brands that will drive energy and interest, and exclusives are the icing on that cake. Our recent First Class Beauty campaign was our largest ever, featuring exclusive products and experiences from over 40 brands. In wines and spirits, our brands have a huge appetite for supporting us with unique products that appeal to both collectors and novice buyers alike. Our recent craft festival in Changi Airport is an example of how we can introduce new customers to brands via exclusive products and experiences. In watches and jewellery, our Masters of Time exhibition is a standard-bearer for how product exclusives can drive an entire market of consumers, where we work closely with our brand partners to develop products that are only available at DFS and which have been especially created for our travelling customers. A good look: The First Class Beauty campaign featured exclusive products and experiences from over 40 brands. A good travel retail exclusive delivers on its promise to the consumer of being unique to the channel and ‘different’ to anything that they can buy on the high street. It has to meet the margin requirements for the retailer while satisfying the supplier’s commercial needs and leave the consumer happy that they have bought something ‘special’. Nestlé Swiss has been a perfect example of a brand that is completely exclusive to the travel retail channel. First introduced in 1998, it proves that – if marketed correctly – a brand can be unique to the channel with no domestic counterpart. Nestlé Swiss brings real differentiation and delivers the uniqueness shoppers are looking for when travelling. 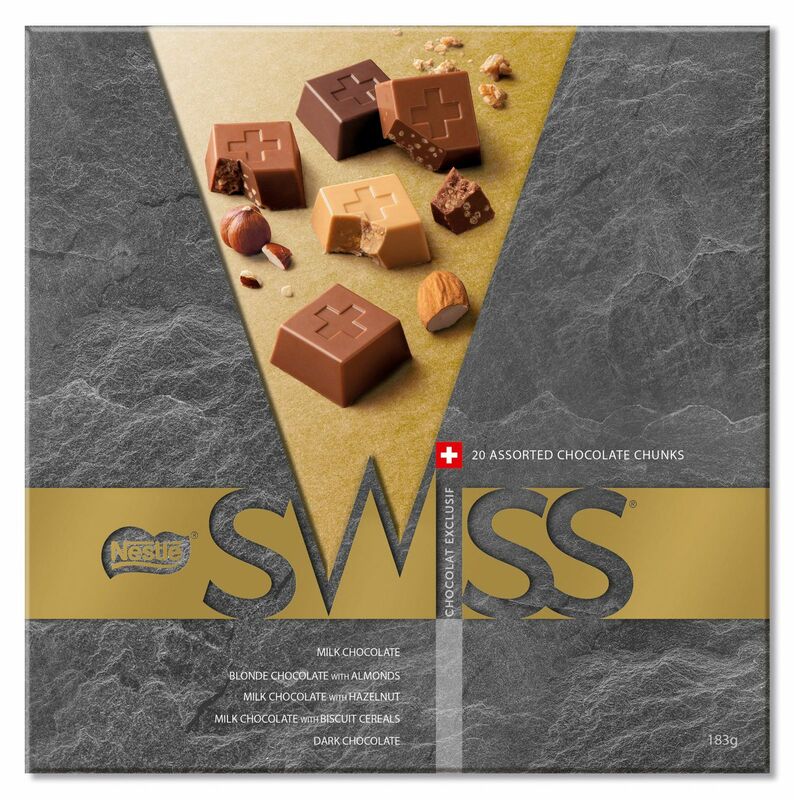 Authentic recipes made in Switzerland since 1875, with first class ingredients to produce quality chocolate, combined with stylish packaging have created a brand that consumers physically look for when they travel. Anchored at the top-end of informal gifting, the brand features formats that cover all relevant gifting need-states around the globe, including self-treat. By keeping the offer fresh and relevant, Nestlé Swiss has become one of our core travel retail brands. Fresh and flavoursome: The Nestlé Swiss range was relaunched in 2018 following a 12-month programme of brand redevelopment. It starts with the product. We know from our research that travellers are looking for outstanding products based on their presentation and not just through product availability, with exquisitely designed or unique products often purchased to be put on display or given as gifts. For example, Ballantine’s introduced a 30-Year-Old Cask Edition, a rare whisky bottled at cask strength. Each bottle had a unique batch and bottle number and was encased in a luxurious package design of rich dark wood, embossed details and opulent copper accents, making it a rare collector’s item or the ultimate gift for the emerging middle class and increasing passenger numbers within Asia Pacific. Second, experiences. Creating unique activations, whether that’s digitally or physically, that consumers want to talk about and share through their social networks can create social currency for the product, particularly amongst millennials. For the launch of Absolut World, we created a platform and experience to bring travellers from across the world together. We asked people to share the places they love in their home city via an online platform built specifically for the campaign. This travellers exchange became a hub of insider travel tips, with thousands of people from 36 countries across six continents taking a picture of themselves that pixelated into a ‘global selfie’ made up of over 6,000 faces that unlocked local hotspots for others to discover. It was effective because the storytelling behind the campaign connected back to the travel channel and leveraged existing traveller behaviour. Finally, local. We’ve seen airport exclusives tied to a particular destination resonate strongly with travellers. 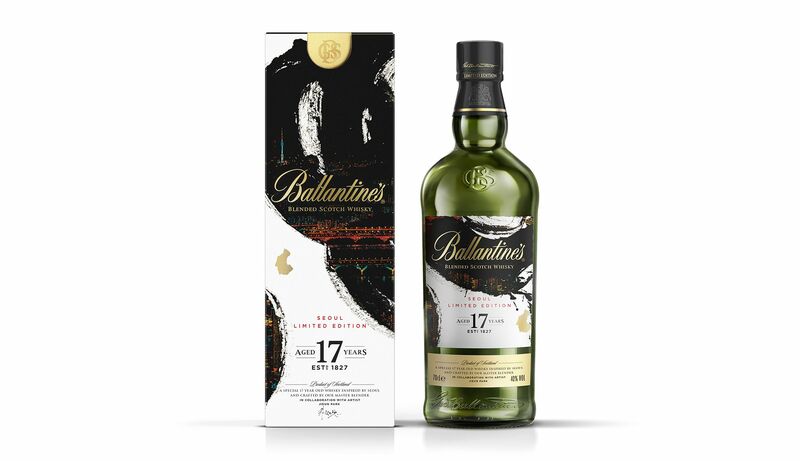 For example, in line with Asia being a key region for Pernod Ricard Global Travel Retail, we launched Ballantine’s Seoul Limited Edition 17 Year Old, the company’s first limited edition exclusively into Korea travel retail. South Korean artist Jieun Park was commissioned to create art work for the bottle design, and the product launched exclusively in the country’s airports. It ticked all the boxes of a good travel retail exclusive in terms of its uniqueness and design. The product captured the imagination of Korean and international travellers, and this was showcased in the positive sentiment the release received on social media. Pernod Ricard Global Travel Retail focuses on luxury, rarity and presentation with its Ballantine’s launches. The travel retail exclusive products must be different from the ones available in the local market and designed keeping in mind the needs of travellers. The same requirements apply for the products in bigger sizes, created for their price competitiveness. A few examples of best-selling travel retail exclusives from confectionery are: Lindt Napolitains chocolate 500g, 750g and 1kg; Ferrero Rocher T48 600g; and Godiva Napolitains Tower Chocolate 225g and 450g. One example of a travel exclusive bestseller is the Estée Lauder Advance Night Repair Serum 100ml which is available only in duty free shops, while in the local market the available sizes are 30ml and 50ml. In 2018 we sold 12,982 pieces of Advanced Night Repair Serum 100ml, which contributed 1.36% to total skincare sales. 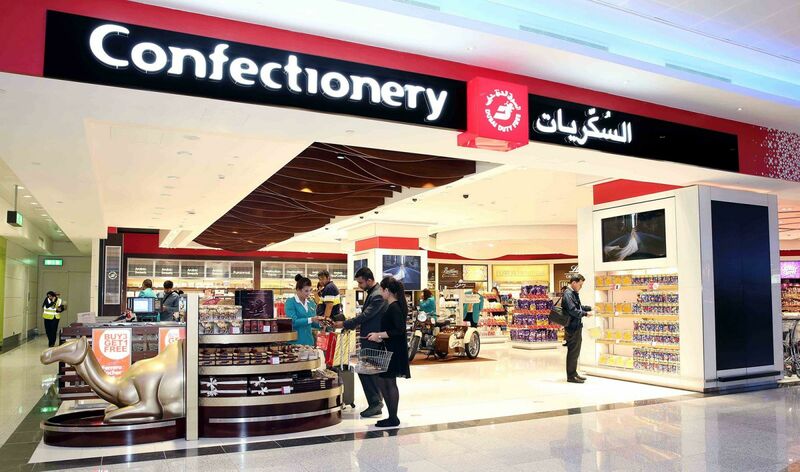 Impulse buys: Dubai Duty Free offers a host of travel retail exclusive confectionery products at locations such as this one in Concourse D.
Nuxe Crème Prodigieuse: The major new line for travel retail introduced in 2018; the company is developing ranges to meet the needs of the travel channel, in the air and on the ground. A true travel retail exclusive is a product that can only be purchased in travel retail outlets, making the purchase something special which isn’t available elsewhere. For Diageo, this is usually a limited-edition product, or perhaps a new bottle design, that creates a unique offering for travellers shopping in duty free. Travel retail exclusives are a key element to our overall ambition, which is to drive spirits category growth, solidify our relationships with partners and maintain our position as a market leader in what has become a fast-paced and competitive industry. 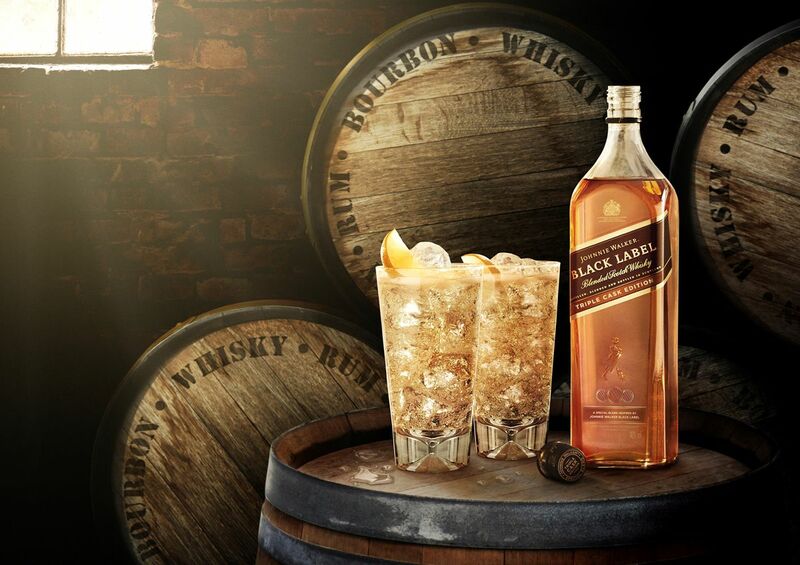 A great example from the last year is Johnnie Walker Black Label Triple Cask Edition. It is a limited-edition whisky inspired by the lighter flavours and aromas found in the iconic Johnnie Walker Black Label. This product is only available in Dufry travel retail stores, making it an exciting product available only to this retail partner, as well as a new offering for consumers to experience. Johnnie Walker Black Label Triple Cask Edition offered whisky drinkers “the opportunity to explore a lively expression of Johnnie Walker Black Label that would make a unique gift for travellers,” according to Diageo Travel Retail. A good travel retail exclusive adopts a 360° approach, encompassing product development, packaging, in-store activations and digital engagement. For Mondelez, by combining product innovation and in-store activations with a digital touch, we are able to provide travellers with ever more engaging and shareable experiences. As for the product development, exclusives should be emotionally compelling to shoppers, easy to recognise on shelf, and convenient to shop and carry while travelling. Moreover, the products should possess a unique feature in terms of shape, flavour or availability in terms of either timeframe or geography. From a confectionery point of view, products should be affordable and memorable, in both shopping experience and consumption. Additionally, unlike other categories, confectionery is a highly unplanned impulse category, and can only deliver footfall and incremental revenue to retailer and landlord if the products have sufficient visibility. This is why placement – both within and outside of stores – and the creation of memorable experiences are so important. Mondelez WTR has seen great success with our travel retail exclusives, leveraging the personalisation trend with products like Toblerone Message bars and Oreo Message boxes, connecting with travellers emotionally through nostalgic offerings like the Cadbury Heritage box, and creating a Sense of Place with the Toblerone country flags sleeves platform, among many other initiatives in our portfolio. 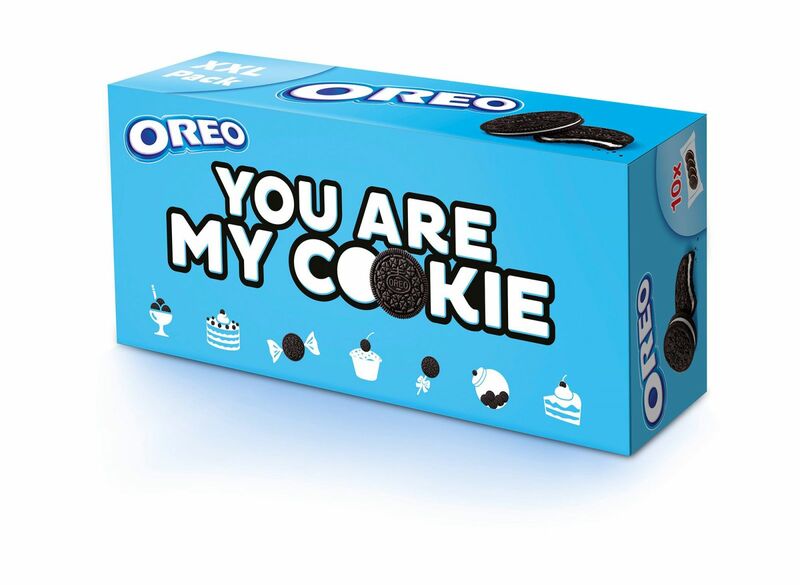 Heartfelt words: Mondelez WTR leveraged the personalisation trend with products like Toblerone Message bars (above) and Oreo Message boxes (below). The Shilla Duty Free has implemented a variety of strategies to create great travel retail exclusive products. Such strategies include design differentiation, component differentiation, and product innovation. An example of an effective travel retail exclusive product is The Shilla Duty Free’s La Prairie Skin Caviar Essence-in-Lotion 250ml which was launched in February 2018. This product is cost efficient due to its large size and more affordable price. The product is also much easier to use with the installation of a pumping bottle. La Prairie Skin Caviar Essence-in-Lotion has been selling well since its launch. Driving differentiation: The Shilla Duty Free’s La Prairie Skin Caviar Essence-in-Lotion 250ml is exclusive to the retailer. The key element of a good travel retail exclusive is creating a product that delivers a retail ‘USP’ that is desirable, true and is simple to communicate. In practice, the product message should be simple enough for an 18-year-old retail assistant on their first day in the shop to be able to say with the confidence that comes from truth, if not personal knowledge. The next level of sophistication should be that it remains recognisable and relevant to the original ‘brand’ while offering a desirable opportunity to ‘trade up’ to a higher purchase price or transaction. When we launched Caorunn Gin’s ‘Gin Master’s Cut’ with Dufry UK in the summer of 2018, it came with three simple sales facts. Retail exclusivity: it was new and exclusive to their British airport stores only, during the defined promotional calendar. 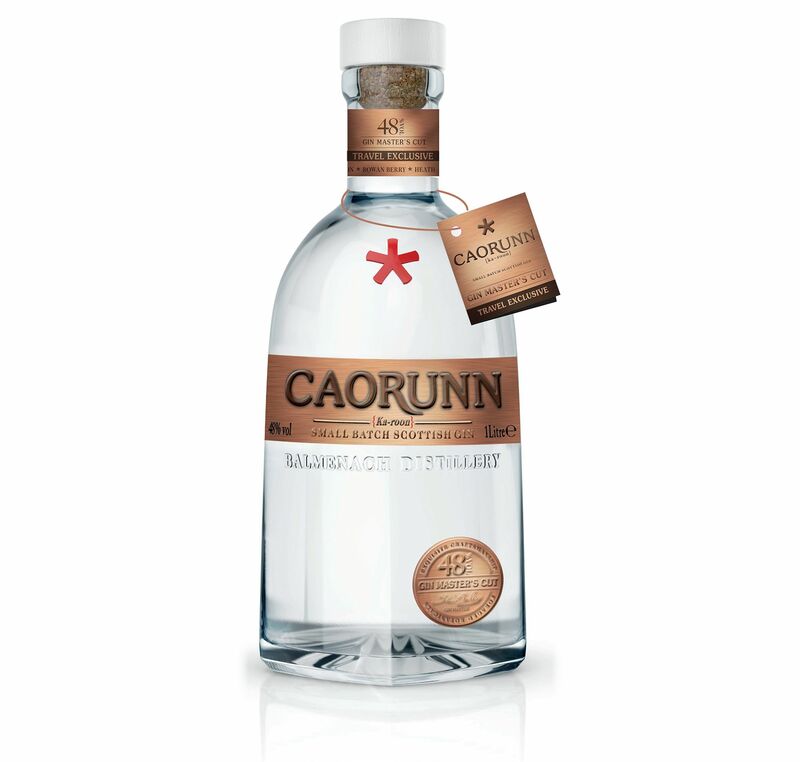 Product novelty and consumer choice: it was the first ever line extension from Caorunn Gin, a proven brand in Britain, priced at a 25% premium to the core expression. Category uniqueness: at 48% ABV, it was the strongest gin product available on World Duty Free shelves. Line extension: Caorunn Gin’s ‘Gin Master’s Cut’ launched with Dufry UK in the summer of 2018. For a single product: loyalty on an iconic product (i.e. 100ml size offers on bestsellers). 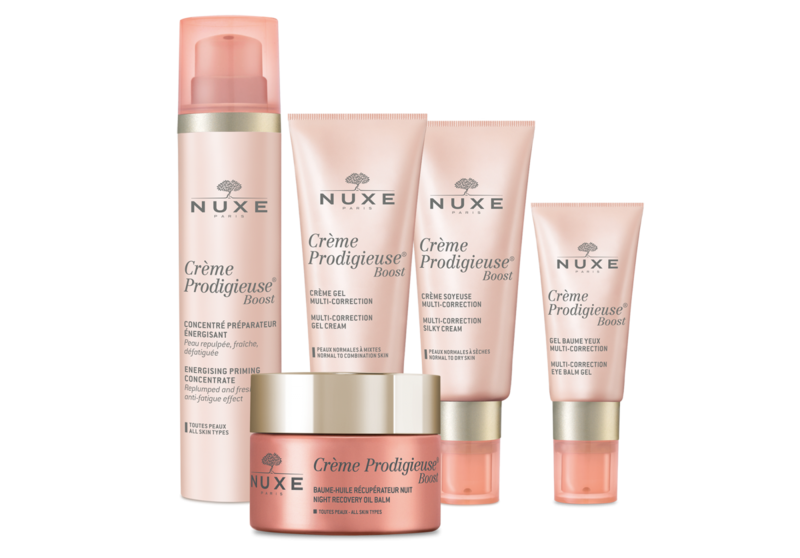 For a set: savings for a skincare routine (1 product offer) and convenience for travel. Uniqueness and innovation. A travel retail exclusive needs to make a consumer think ‘wow, I’ve never seen one of those before’. When a consumer thinks this, then the price point can sometimes be irrelevant, due to the desire to have a product that is unique and cannot be found elsewhere.